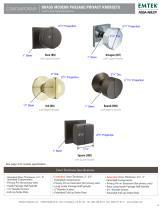 Function: PS - Passage Set FD - Full Dummy (No Functioning Set) PV - Privacy - Push pin provided for privacy inside room. Emergency release hole for outside room. Handing not required for Knobsets. 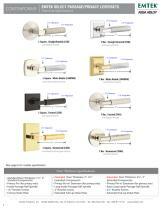 Standard knobsets come with a standard 60 degree rotation latch. Optional 28 degree rotation latch, which requires less rotation than standard latch, is available for additional upcharge. Please inquire. Fits any door between 1-3/8 in. to 2-1/4 in. thick with a 2-1/8 in. 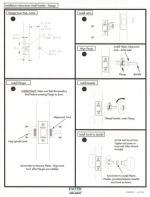 bore standard door prep. Exposed screws on interior rosette as standard. Can be upgraded with Concealed Fastener (CF) Mechanism for additional upcharge which will conceal the screws on the interior rosette. Sold as complete set. Includes Latch and Strike. 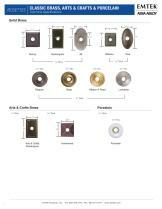 The following part nubmbers are available by selecting the options above.